How is the 2019 Mazda CX-3 Different from the 2018 Mazda CX-3? Home » Mazda CX-3 » How is the 2019 Mazda CX-3 Different from the 2018 Mazda CX-3? Mazda has already released the 2018 Mazda6 since the start of the new year. 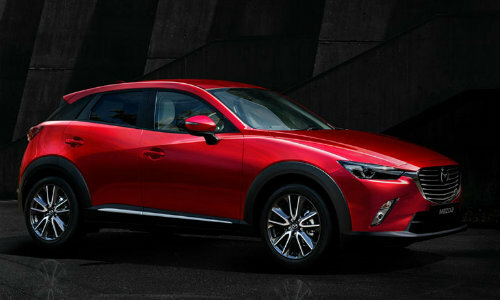 However, the first new 2019 model out of the Mazda catalog will be that of the 2019 Mazda CX-3 compact SUV! How does the 2019 Mazda CX-3 compare to the 2018 Mazda CX-3? What are the differences? How is the 2019 Mazda CX-3 better than the 2018 Mazda CX-3? In terms of specs, we don’t see much of a difference between the 2019 and 2018 model. However, the 2019 Mazda CX-3 has a small improvement in terms of horsepower. How does the 2019 Mazda CX-3 differ then? Well, the 2019 Mazda CX-3 does have some very notable improvements in terms of style aesthetics, dimensions, and interior features powered by SKYACTIV® TECHNOLOGY. Improved tweaks to the KODO Soul of Motion design help the Mazda CX-3 to further transcend its previous design template. This includes a longer hood, reframed roof, larger wheels, and more, making the chassis evoke more of the 2019 Mazda CX-3’s crossover confidence. 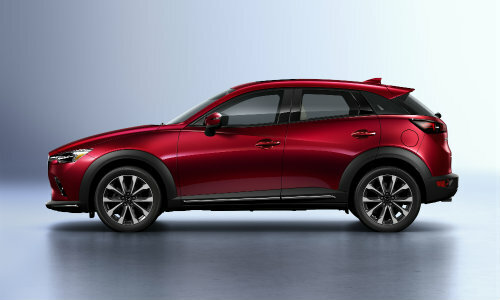 For additional information, such as available interior features and further images of the 2019 Mazda CX-3, you can find the official Mazda release on the vehicle located here. Here at Marketplace Mazda, we’ll have additional information relating to the 2019 Mazda CX-3 up until its release date. Scheduled for release in the spring of 2018, we should be expecting the 2019 Mazda CX-3 to debut soon now that the 2018 Mazda6 is now out. Give us a call today to learn what other information is available concerning the 2019 Mazda CX-3! This entry was posted on Monday, May 21st, 2018 at 6:55 pm	and is filed under Mazda CX-3, New Vehicles. You can follow any responses to this entry through the RSS 2.0 feed. You can skip to the end and leave a response. Pinging is currently not allowed.